Khadem, a Kennedy-Lugar Youth Exchange and Study (YES) program participant, talking about his exchange experience. Khadem Samad Nitol, a YES program participant, moved from a big bustling city in Bangladesh to a small farmer town in Harper, Texas. "My first impression was different than I thought," says Khadem. "I moved from a city of 20 million to a city with 800 people. And to a school that had 1052 students, with 36 students in my class. I was blessed to live in a city where the school and population were pretty small - it was fun." Living in a small town in southern Texas, Khadem had the chance to experience life as a farmer with his host family. "The experience with my host family was awesome," says Khadem. "They lived on a farm and had large animals. I helped with the ranch activity, like fixing the barbed wire fence, feeding the animals, picking up the eggs, and digging the ditches to supply water for the animals. Being like a cowboy for a year in Texas was a very new experience for me." Not only did Khadem enjoy his time being a farmer, he also had the chance to get involved with his community and high school. "When I was in high school I was involved in lots of activities," says Khadem. "I was a teacher's assistant for my Chemistry and Calculus teacher. I helped them by grading quizzes and helped students who didn't understand the lessons during class. I also used to do church activities. I would do volunteer service if a church had a garage sale or food drive." Khadem was involved with several activities within his community and school, but the best contribution he made was teaching his friends and classmates about his home country. "A lot of the students didn't know about my country,” says Khadem. They thought Bangladesh was a city or state of India. So it was a good opportunity for me to tell them about the history and culture of my country. Also, teaching them about my religion. I was a guest speaker at church at Sunday school and tried to give them a better view of my heritage." One of the best experiences Khadem had was what the YES program provides for every participant - the chance to meet students from diverse countries. 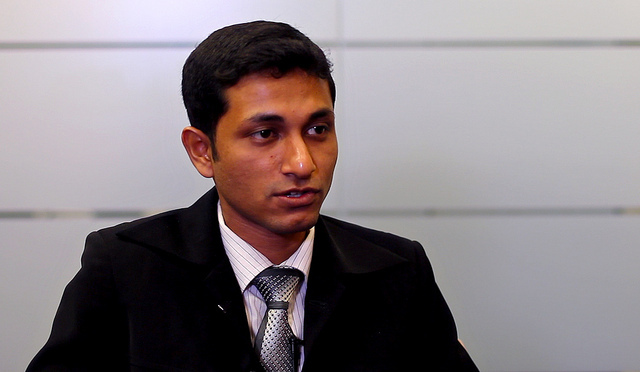 "When I came to the US, it was not only me from Bangladesh, but other exchange students from all over,” says Khadem. Under my own local coordinator there were students from eight to nine countries. In D.C., I met with students from more than 20 different countries. I'm very proud that I have friends from more than 13 countries."